TRIUMPH SPRINT ST 955i All Years: "REAR" Caliper Pistons & Seal Kit. Stainless Steel Piston Upgrade. One STAINLESS STEEL Complete 4 Pot Caliper Overhaul Kit! SPRINT ST FRONT CALIPER Piston and Seals [Large Piston] Stainless Steel Piston. SPRINT ST FRONT CALIPER Piston and Seals [Small Piston] Stainless Steel Piston. 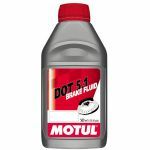 MOTUL High Performance DOT 5.1 Brake & Clutch Fluid: ABS Systems Recommended. 500ml. DOT 5.1 Brake Fluid: ABS Braking Systems Recommended. GRANVILLE Copper Grease: Copper Anti-Seize Compound. 20g. "Copper Slip"
Suitable for many on & off road applications. "Brake Pad Pin" Cap Cover Screw 10mm [Most Nissin/Triumph Calipers] Priced Each. Makes Single Handed Brake Bleeding A Breeze! Replacement 58mm Brake Pad Retaining Pin. [Front or Rear Caliper] Many Triumph Applications. Replace Corroded Slider Pins With A New Hardened Steel Pin. In most cases one pin is needed for each caliper however some rear calipers require two pins. In most cases one pin is needed for each Front caliper however some rear calipers require two pins. Please Check Before Ordering. In most cases one pin is needed for each caliper however some rear calipers require two pins. 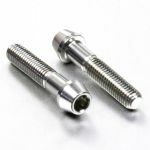 "Brake Pad Pin" STAINLESS STEEL Cap Cover Screw 10mm [Most Nissin/Triumph Calipers] Priced Each. 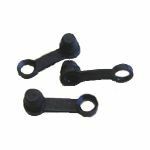 TRIUMPH Front Axle Pinch Bolts. Polished Stainless Steel: M8x30mm OEM# T3050175: Sold In Pairs. 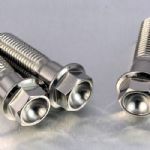 Polished Show Quality Stainless Steel Bolt. 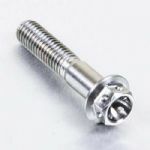 TRIUMPH Replacement 30mm Disc Bolts: [Thread Lock Added] Priced Each. Quality ftermarket Replacements For Worn And Rounded Triumph 30mm Disc Bolts.